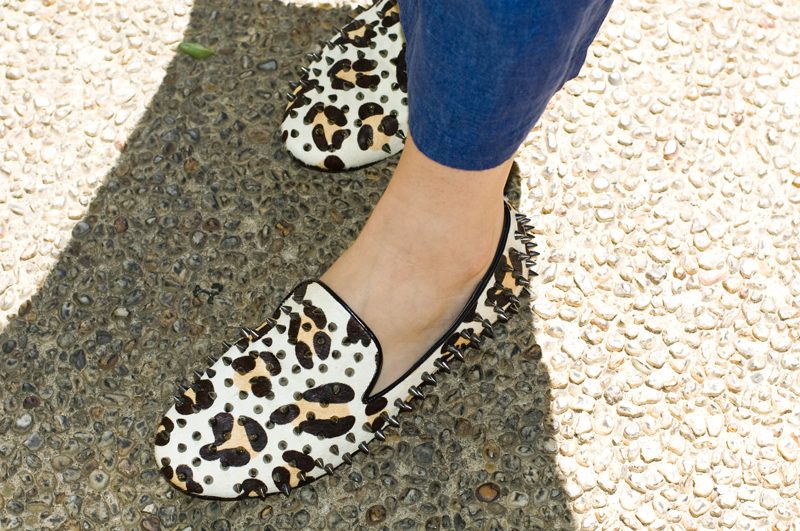 These Sheinside loafers are the perfect shoe. They're leopard, they're studded, and in a moment of danger, they can be used as a weapon. Now that's what I call versatile. Studs AND leopard! Obsessed! They look fantastic with the outfit! 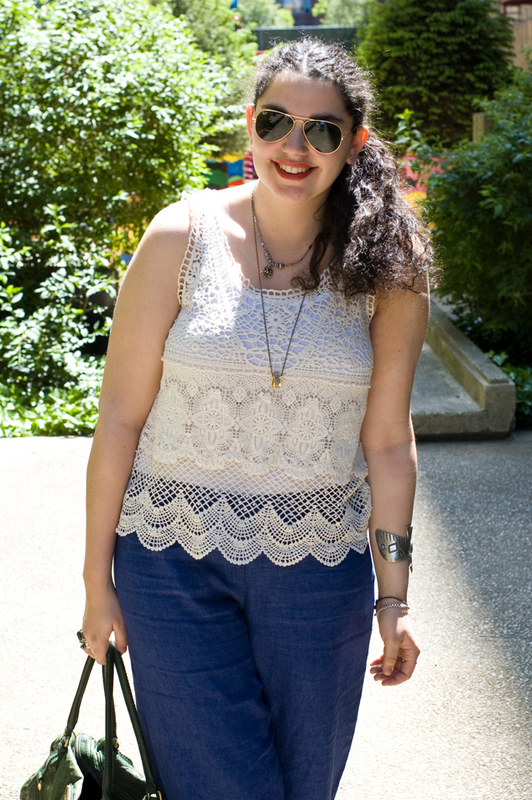 love the crochet lace top, and your shoes are amazing! Nice loafers! I love studs! 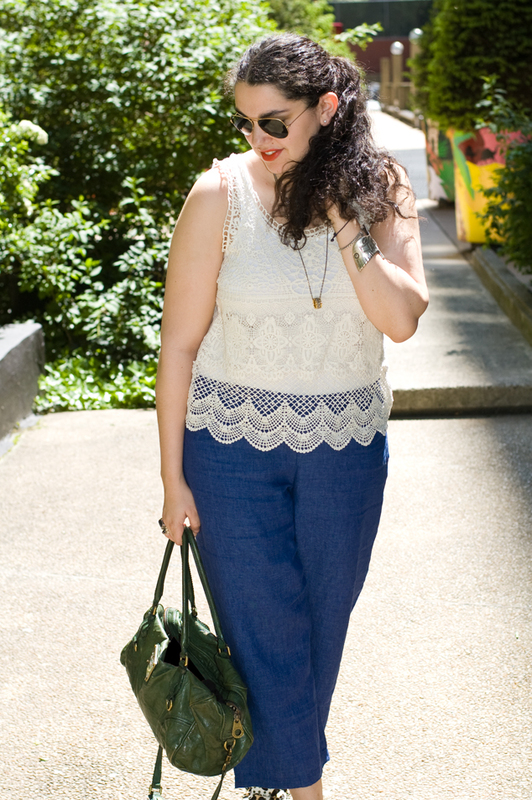 Love that lace top, such a perfect summer top! 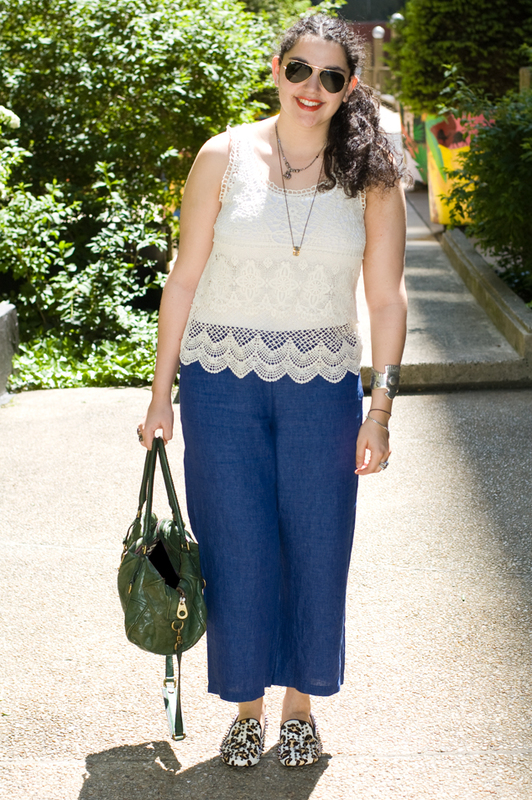 Love this look. 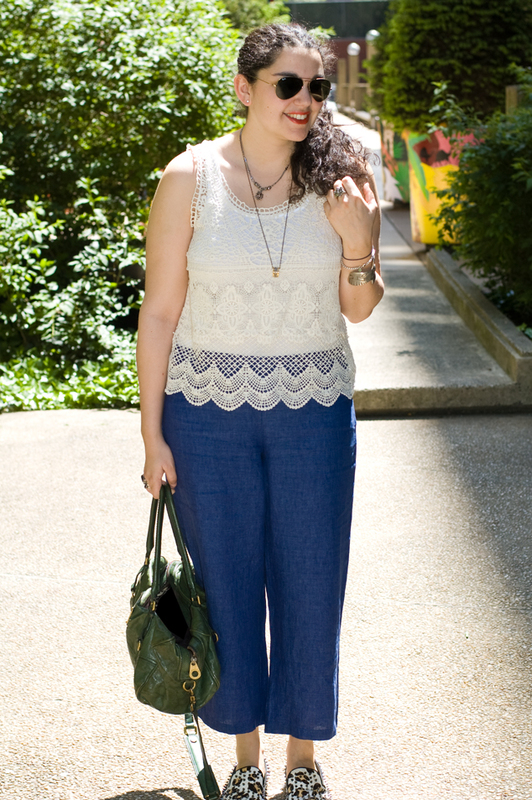 The lace top and trousers go so well together. You look wonderful. Yay for accessories that double as weaponry! 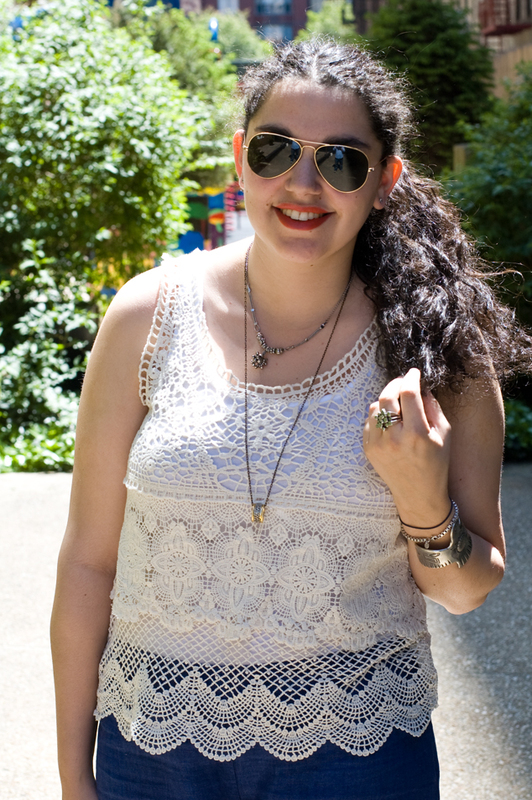 ;) That lace tank is gorgeous - I need more lace in my life for summer! that top is beautiful! and those shoes to die for! Great blog! Would love for you to check mine out! Let me know if you want to follow each other! love those studded loafers girl! WAY cute! 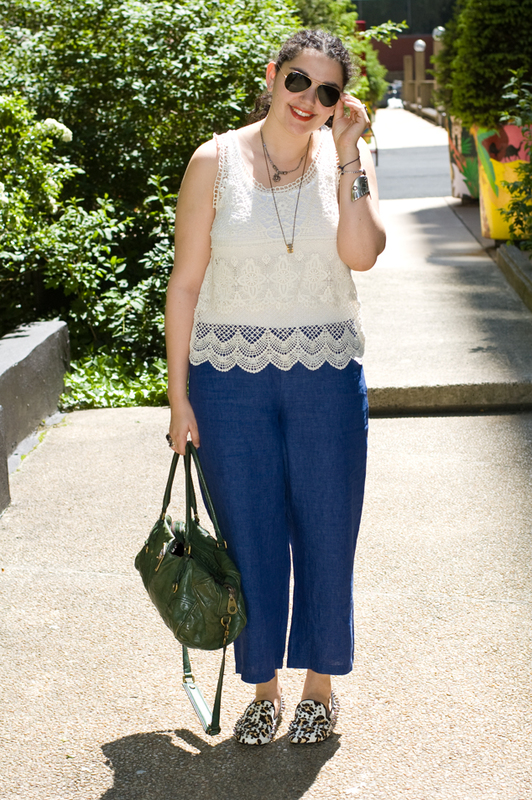 LOVE the top and those shoes are rad! 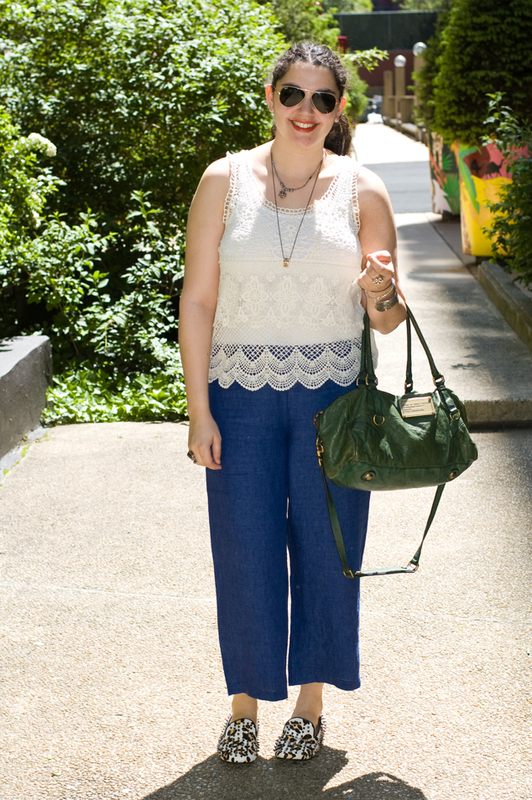 Gorgeous top and adoring the shoes!